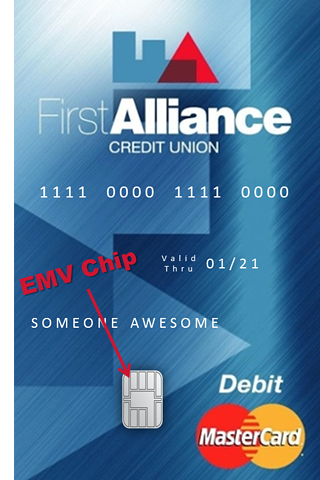 First Alliance Credit Union has begun the transition to credit and debit cards with chip technology. The embedded computer chip provides more security and wider international acceptance. A microchip embedded in every card adds a new layer of protection against fraud for purchases made at the point of sale. Information programmed into the chip is personalized for your account and each transaction generates a unique code, adding an extra safeguard against unauthorized use and counterfeiting. These cards are already in wide use around the world and are now becoming the standard in the U.S.
Wishing your financial institution had this awesome tool?